Business and place cards provide contact and location information so your customers can contact you by phone, location, and Business Chat. Business cards display the global contact details for your business, including your brand or logo, your business phone number, email, website URL, and Business Chat button. When the customer taps the business card, it expands as shown in Figure 1. Place cards appear in iOS search results and display your business name and address. When the customer taps to select one of the place cards, the card expands to show the business's location in Maps, along with the address, hours of operation, phone number, and a Business Chat Message button (see Figure 2). 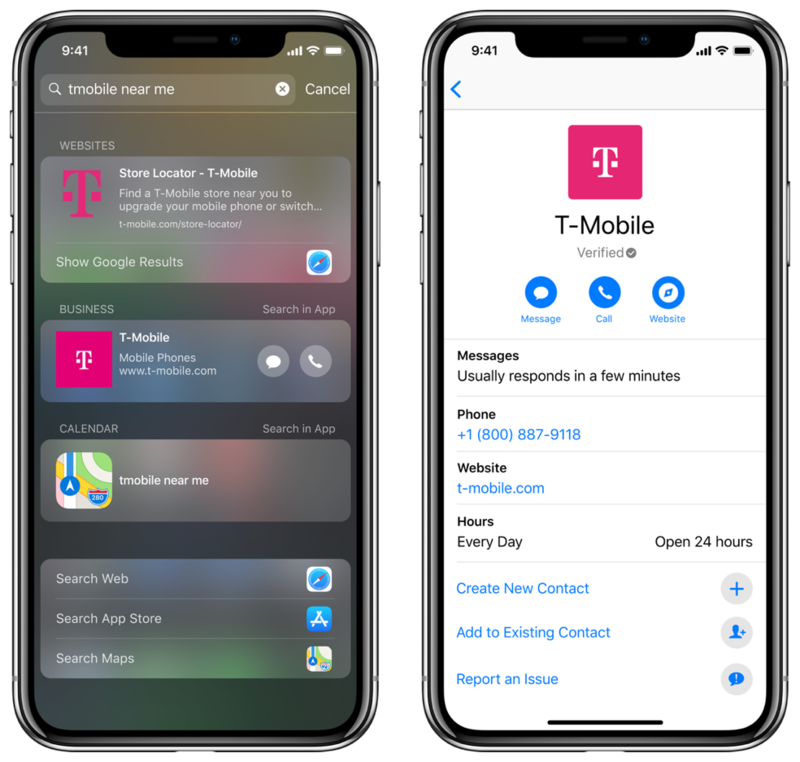 Enable your customers to choose the best way to contact your business by selecting the card type to display in iOS searches. 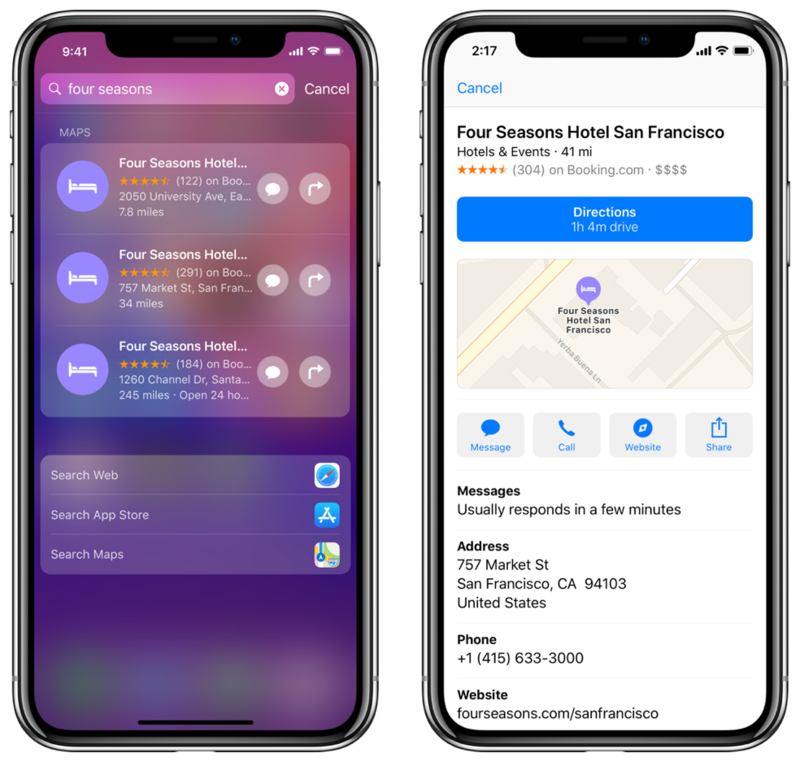 Determine who can message your business by enabling your iOS entry points. Make your business easily identifiable in searches. Route your Business Chat traffic by defining the default intent and group values in your Locations profile.